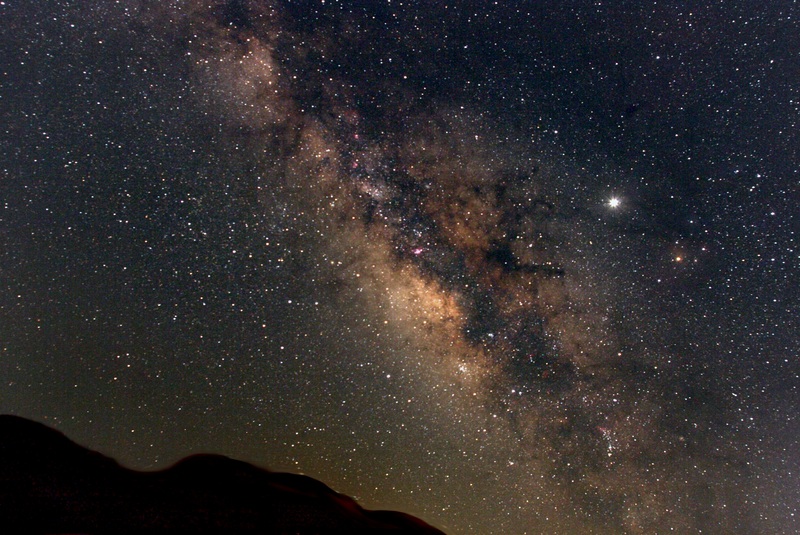 The Milky Way Galaxy can be seen on dark, clear nights. Photo by Derek Rowley. A few months ago, in anticipation of our upcoming Winter Astronomy festivals, Assistant Park Manager John Callow and I shook a year’s worth of cobwebs off of Riverbend Park’s Schmidt-Cassegrain telescope, lugged it down to the Potomac riverbank and proceeded to explore the night sky at 100x magnification. It was a cold, clear December night, perfect for stargazing. As the sun set and our eyes adjusted to the darkness, the stars appeared one by one. At the last hint of sunlight I remember looking up and staring in amazement at a faint swath of billions of stars banded across the sky: the Milky Way. As a D.C. resident, I’m usually attuned to an orange haze that descends when the sun goes down and thousands of my city’s streetlights reflect off of clouds. At Riverbend, it feels like I’m a million miles away. That December night was the first time I had seen the Milky Way in the Washington metropolitan area, and the first time I could appreciate what a special place the park is both at day and at night. The fact that viewers can observe the Milky Way at Riverbend is astonishing when you consider the park’s proximity to urban, highly developed areas. The swath of parkland that separates Riverbend from the hustle and bustle of communities further away from the river is complimented by the semi-rural character of the park’s immediate neighbor, Great Falls. When night falls at Riverbend, inky shadows, starlit islands and moonlight reflecting off the water dominate the landscape. The singsong of birds and occasional rumble of traffic is replaced by the ambient noise of Great Falls downriver and the occasional hoot of an owl. But what really draws folks to the park at night is the unfiltered view of the night sky; it helps when we have a powerful telescope to explore it. The sky, telescope and a variety of activities and demonstrations are on full display during our Winter Astronomy festivals, held monthly from November to March. Riverbend alternates between hosting festivals for Girl Scouts and for the general public. A crowd of close to 300 Girl Scouts was at the park on a recent January weekend, and they had great views of the festival’s “featured planet,” Jupiter. A look through the powerful scope, purchased for us by the Friends of Riverbend, revealed the planet’s four Galilean moons and suggestions of Jupiter’s famous red bands. While a film of clouds prevented a clear view of the Milky Way that night, scouts and their families enjoyed constellation tours, arts and crafts, constellation stories around the campfire and, of course, hot chocolate. 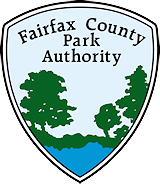 Nights like those show the worth of shaking off cobwebs and exploring what’s in, and above, Fairfax County parks. Here’s more about astronomy programs in the parks and about programs at Riverbend. This entry was posted in Uncategorized and tagged Astronomy, Girl Scouts, Great Falls, Jupiter, Milky Way, nature, outdoors, Potomac River, Riverbend Park, Schmidt-CassegrainTelescope, science, Stargazing, Washington D.C. on January 17, 2013 by Fairfax County Park Authority.